Looking for an opponent to play Chess against? Stop by the Teen Zone to pit your mind against other Chess enthusiasts. 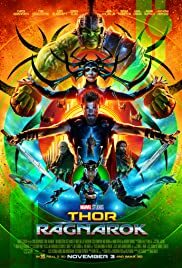 Stop by at 3:00 p.m. to watch Thor: Ragnarok and make your very own Mjolnir (Thor's Hammer) replica using foam blocks, electrical tape, and PVC piping. Runtime is 2 hours and 10 minutes. Rated PG-13. Starring Chris Hemsworth, Tom Hiddleston, and Cate Blanchett. Calling all otaku! Join us on Thursday afternoons to watch new episodes of both classic and new anime.